I feel a strong connection with the ocean. I am at my happiest when I am in the ocean, kind of feels like there is where I meant to be. 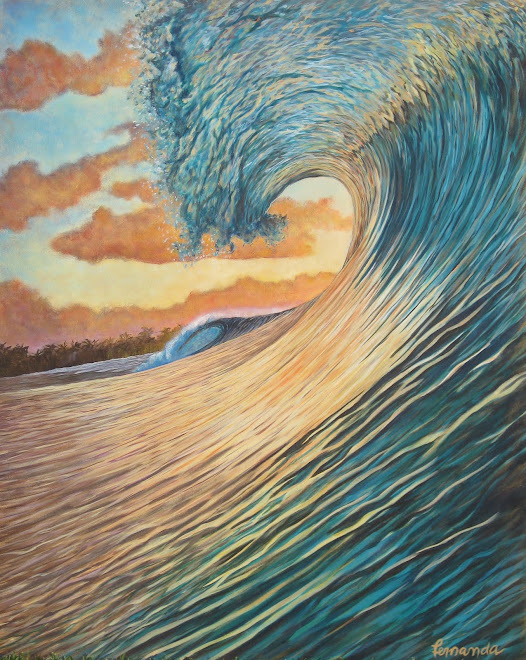 I draw inspiration from my travels to world class surfing destinations and the work of renowned surf photographers and have recently started taking a water camera with me while I am surfing to develop the material into paintings. My pursuit is to portray perfection and the ultimate surfing experience. I like to paint my seascapes with the absence of people so that the viewer is not distracted and perhaps encouraged to image themselves in the scenery. I want people to relate to my paintings encouraging them to relax and mind surf. This is my aim as an artist, it never ceases to drive me. Growing up in the high density environment of Sao Paulo in Brazil, Fernanda dreamed of living by the sea and enjoying a coastal lifestyle. She craved the the waves to surf. She began bodyboarding at 11 years of age and it became clear to her that the ocean would provide the focus in her life. She began planning to surf around the world, particularly Australia where she met her future husband, also a surfer. Together they have travelled to many different world class surfing destinations. 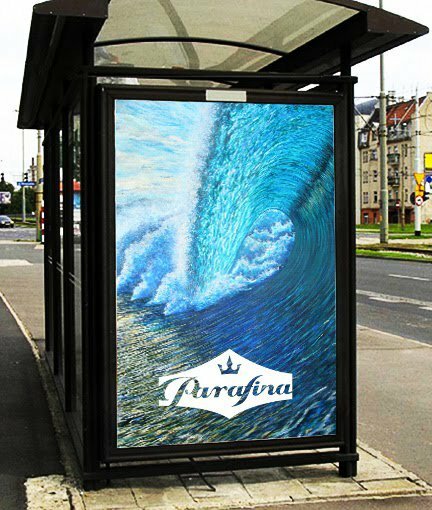 Fernanda not only enjoyed the surfing but also began to sketch waves and seascapes. 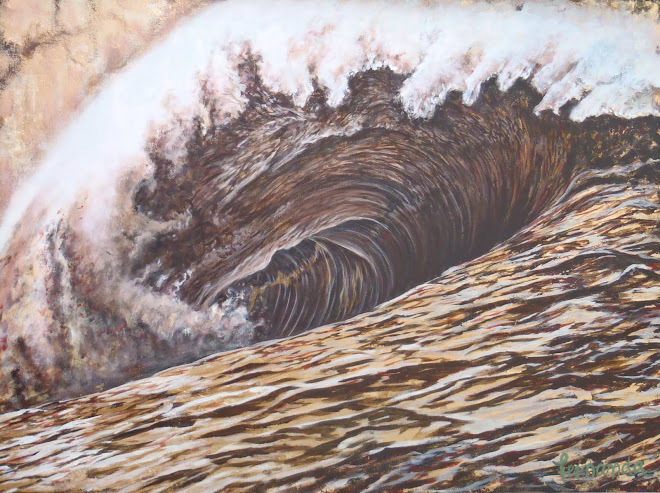 Her passion for the ocean is now reflected in her paintings and her aim is to bring to canvas perspectives of the sea that only a surfer could explain. 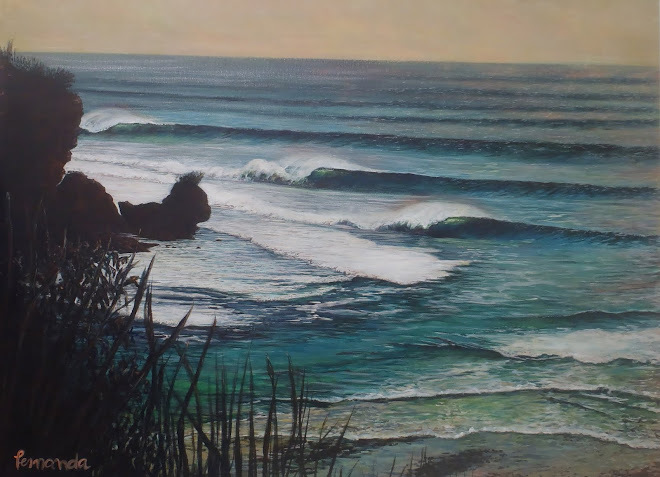 Painting surf and seascapes is like the realisation of the dream, a logical extension for the passion of the sea. Commissions are welcomed. Fernanda is mostly self taught but from 2003 to 2008 has trained with renowned artists based on the South Coast of NSW, Manly and has completed intensive courses at the National Art School as well as a short residency in Florence, Italy with renowned artist and mentor Angelo Vadala' in 2011. 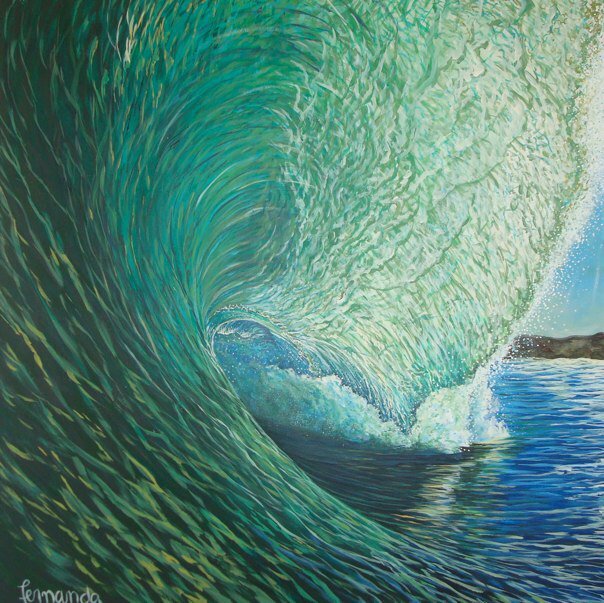 Fernanda's seascapes and surf paintings are now private collections in Brazil, Australia, Portugal, Germany, England and the United States. 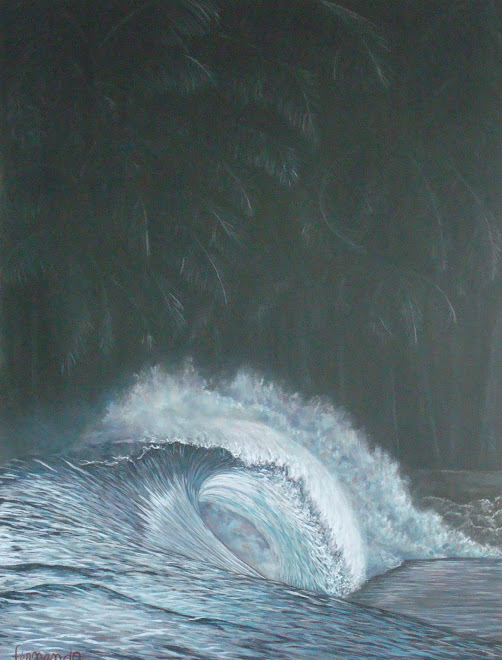 "Narrabeen, behing the foam ball"
"Another barrell on the south coast"
Sold - "Green Room on the heavier side"
The contest which is held in September in California invited me to participate this year. I donated this painting to the Association so that can be actioned off to raise money to the campaign of saving the oceans.